Does your sales team need a visual reminder to help close? This tip sheet will help keep them focused in a tough deal. Quantify what the problem is costing them. Illustrate your unique ability to solve the problem. 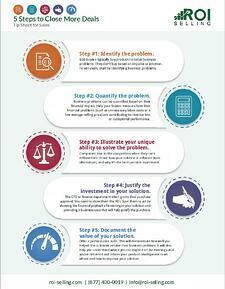 Justify the investment in your solution. Document the value of your solution. Print this poster, and hang it up nearby! Download Your Free Tip Sheet!